Gone are the days when every home has the same basic kitchen experience. From countertops to islands and bars to custom cabinetry, each kitchen across the DFW area is rich with character and appeal, and each homeowner is typically either highly pleased or displeased with the current state of their kitchen. If you look around at the homes of your friends and neighbors, you will find that most people either just finished a new build or remodel or are dreaming one up in their heads. We all have an image in mind of what we want our kitchen to look like, and so much of that image revolves around the cabinets. Without even knowing it sometimes, we choose kitchen designs that we like based solely on the look of the cabinets and how this look will either blend in with the rest of our home or stands out in bold contrast. Perhaps you like the fresh and bright look of an all-white kitchen in the midst of your darker toned home, or maybe you’ve gone with a lot of natural and neutral tones in your home and want to keep that same thread alive in your kitchen. Regardless of the color scheme you have in mind, the painting and/or glazing of your cabinetry will have the last word in making a very strong and lasting visual statement and will become a focal point of your home, and Liberty USA Painting is the perfect company to help in making that vision come to life. 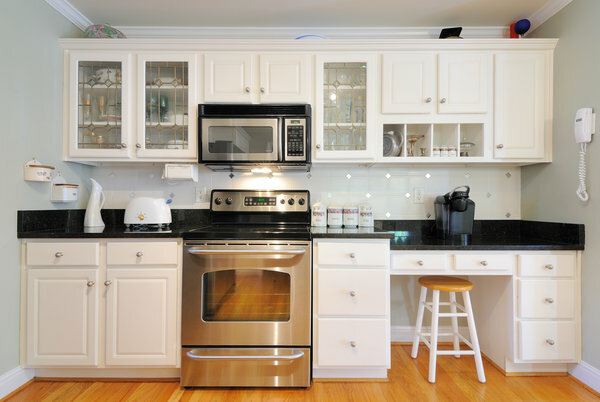 For those who are new to the world of cabinets, there may be some confusion when it comes to painting and glazing and deciding on which is the best finish and appeal for your home. There are countless options when it comes to the choice of color and texturing that you prefer. You can go for brighter colors or more subtle colors, a glossy finish or something a bit more flat. The condition of your cabinets really do make a huge statement in your kitchen and say a lot about your style and taste, and that is why our team at Liberty USA Painting is such a powerful resource in making sure that you are getting the look that truly suits you best. 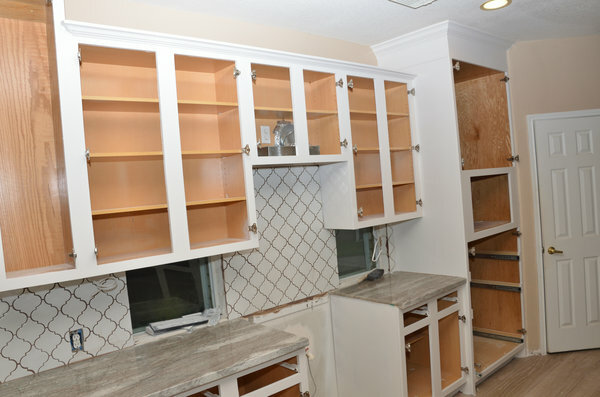 We will help you in narrowing down your choices so that you fully understand which features of your cabinets are the most important to you. Our commitment to our customers is steadfast and sincere, and we pride ourselves in performing efficiently so that your home will receive this amazing new look in a speedy fashion without cutting any corners along the way. Our team of painting experts have a wealth of experience and knowledge when it comes to the current trends and most popular choices of cabinetry and finishing, and we make it a point to bring that wisdom into every DFW home in which we have the pleasure of working. Call us today at 469.919.1333 to learn more about our painting and glazing process and how we can help you get started in making your home makeover become a reality!